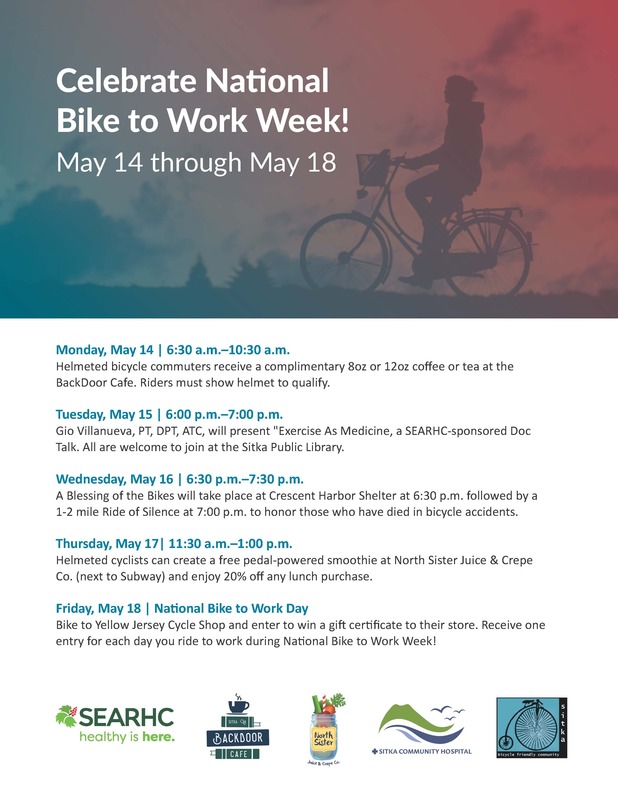 Getting around Sitka on foot or on a bike is good for your health, and it’s good for the environment. However it’s important that these activities are done safely. 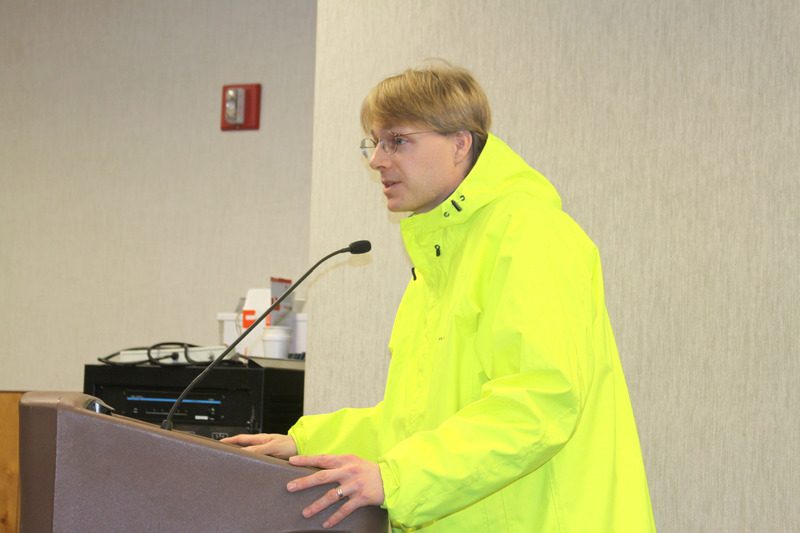 Doug Osborne of the Sitka Bicycle Friendly Community Coalition speaks about the importance of cities becoming more bicycle friendly during a 2012 Sitka Assembly meeting. He also discussed upcoming projects by the coalition, and the importance for cyclists to wear bright, reflective clothes (such as his jacket) when they ride, especially during the dark winter months. Having a coat that covers your whole upper body and can be seen from all sides is one way to be visible and stay seen as you walk the family dog, bike home from work, or go for a stroll anywhere near cars. 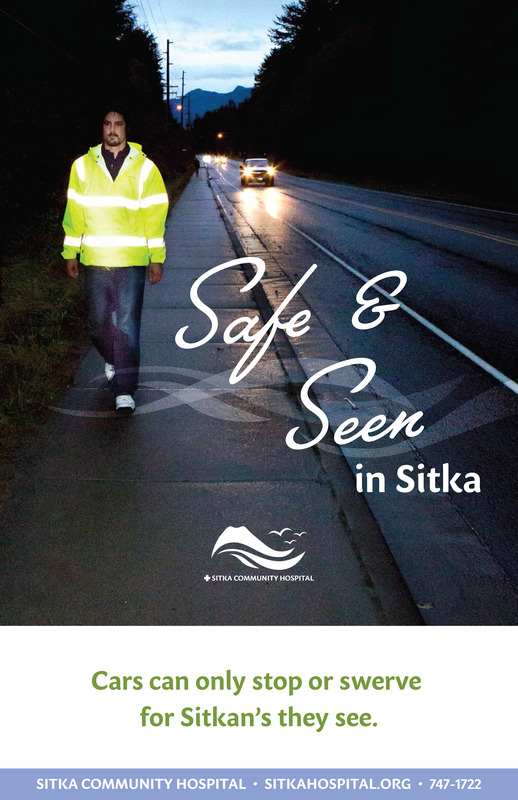 For more information on the “Be Safe and Seen in Sitka” campaign, contact Doug Osborne, Sitka Community Hospital’s Director of Health Promotion, at 747-0373. 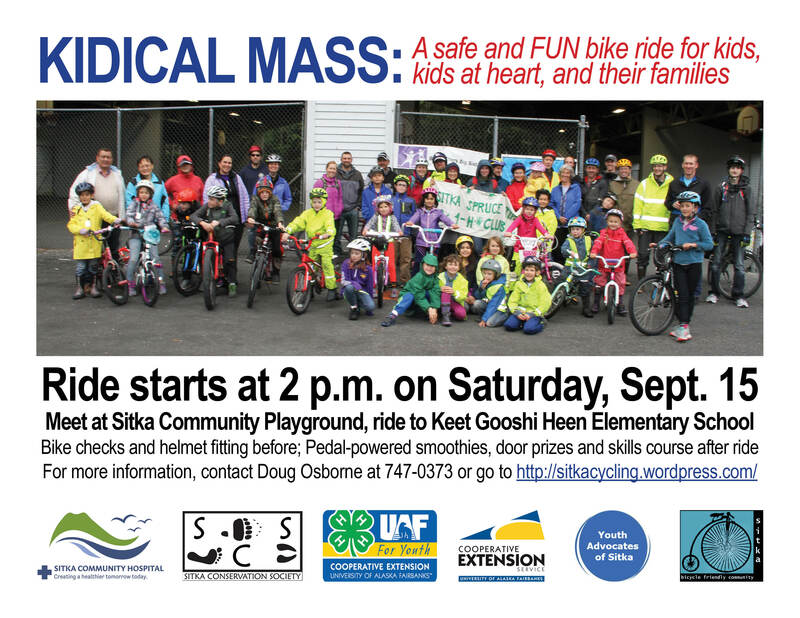 Cyclists of all ages are invited to join Sitka’s fourth “Kidical Mass” family bike ride, which is scheduled to start at the Sitka Community Playground across from Sheldon Jackson Campus at 2 p.m. on Saturday, Sept. 15. The group will bike to Keet Gooshi Heen Elementary School, where there will be complimentary pedal-powered smoothies, door prizes and fun activities. There also will be free bike safety checks and helmet-fitting before the ride starts, so get to the playground/tennis courts early. 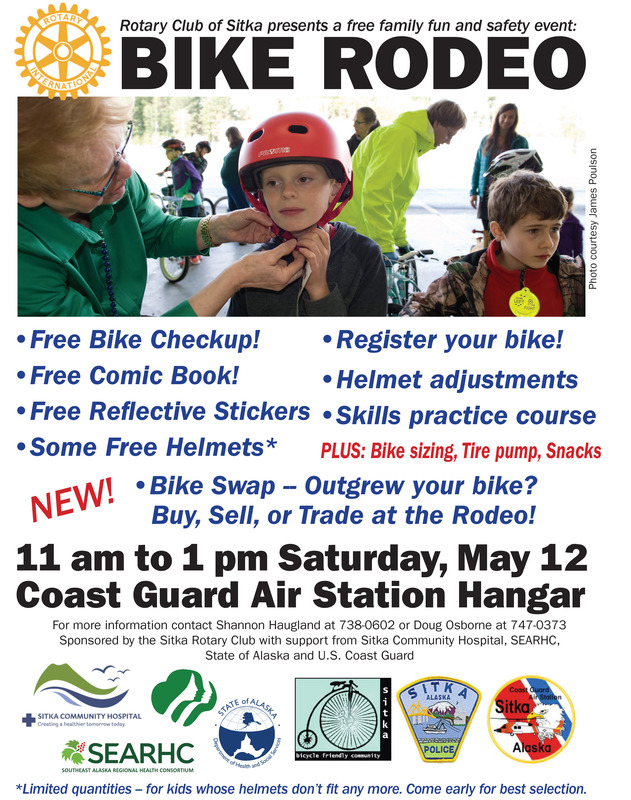 Each participant will need a bike, a helmet (Sitka has a youth helmet ordinance for everybody age 18 or younger), and an adult (or kid-at-heart) to ride with. Kidical Mass events encourage family participation and teaching young riders bike safety on the road. We will have a few new helmets available for those who need them. 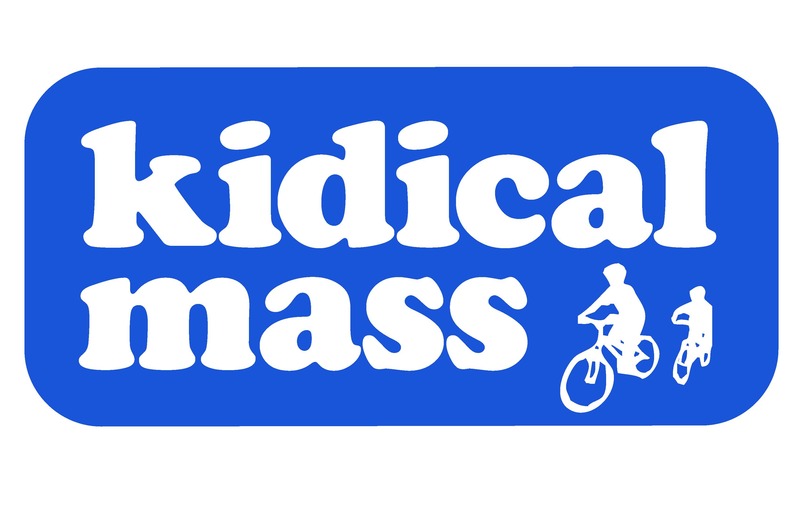 Kidical Mass is a legal, safe and FUN bike ride for kids, kids at heart, and their families. 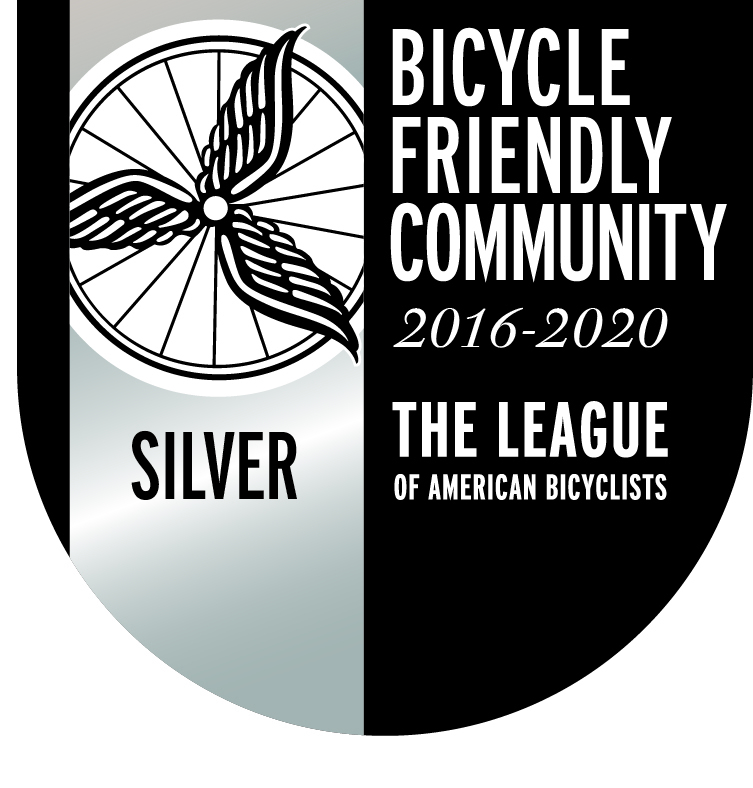 The first ride was held in 2008 in Eugene, Ore., and has now spread to dozens of communities throughout North America and beyond. Kidical Mass rides encourage safe riding for kids and families, with education about how to safely ride on the roads. Sept. 15 has been dubbed “Kidical Massive” by the Oregon organizers, who are calling for Kidical Mass rides in dozens of communities that they estimate will be the biggest global family bike ride ever. 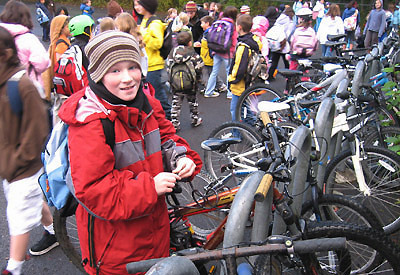 Sitka hosted its first Kidical Mass event as part of Kidical Massive in 2015, and you can see photos by clicking this link. Sitka’s second Kidical Mass ride was in 2016, and photos can be found here. Photos from Sitka’s third Kidical Mass in 2017 can be found here. 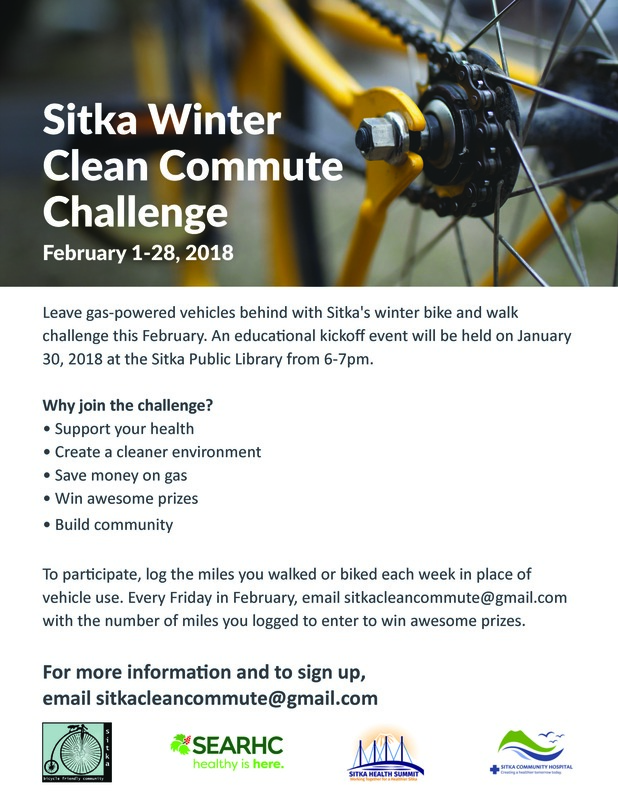 Local organizers include the Sitka Bicycle Friendly Community Coalition, 4-H, UAF Cooperative Extension Service Sitka District Office, Sitka Conservation Society, Youth Advocates of Sitka, and Sitka Community Hospital. For more information, call Doug Osborne at 747-0373. 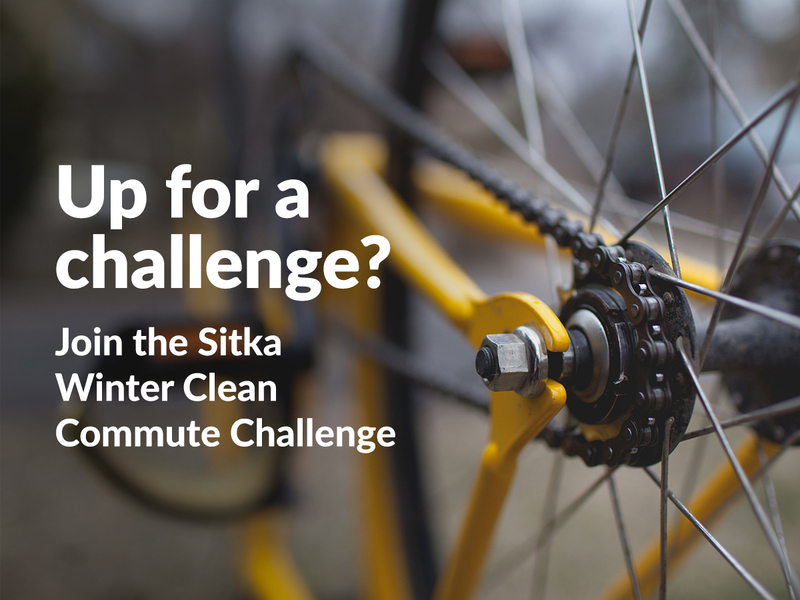 Getting around Sitka on foot or bike is good for the environment and your health. It is important to make sure it’s done safely, especially while traveling at night. Walkers — people who travel by foot, wheelchair or stroller — and bicyclists are among the most vulnerable users of our roads. According to the Centers for Disease Control, in the next 24 hours, on average, 445 people in the U.S. will be treated in an emergency department for traffic-related pedestrian injuries. 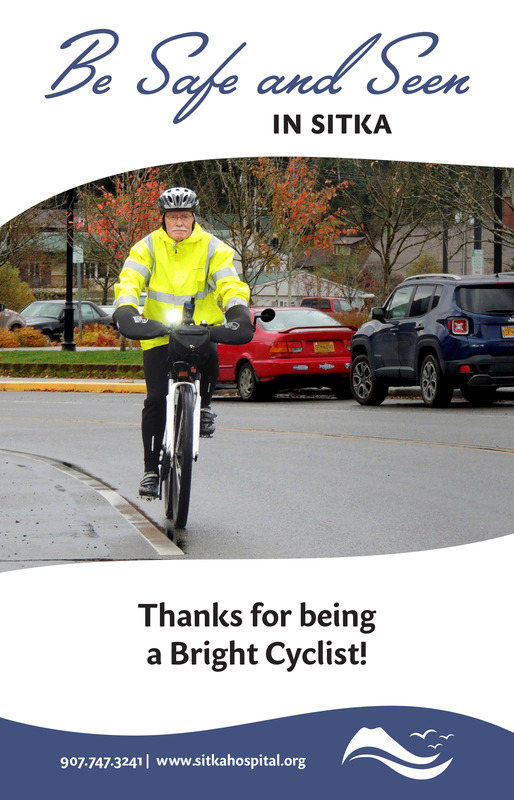 Sitka can be dark, especially in the winter months, and many of the bicyclist and walker fatalities happen in low visibility. Drivers can only stop or swerve for the people they see. Lights, reflectors and high-visibility coats offer a level of protection. Thanks to Grundens and Murray Pacific, Sitka Community Hospital will be raffling off high-visibility rain coats at various locations throughout Sitka. 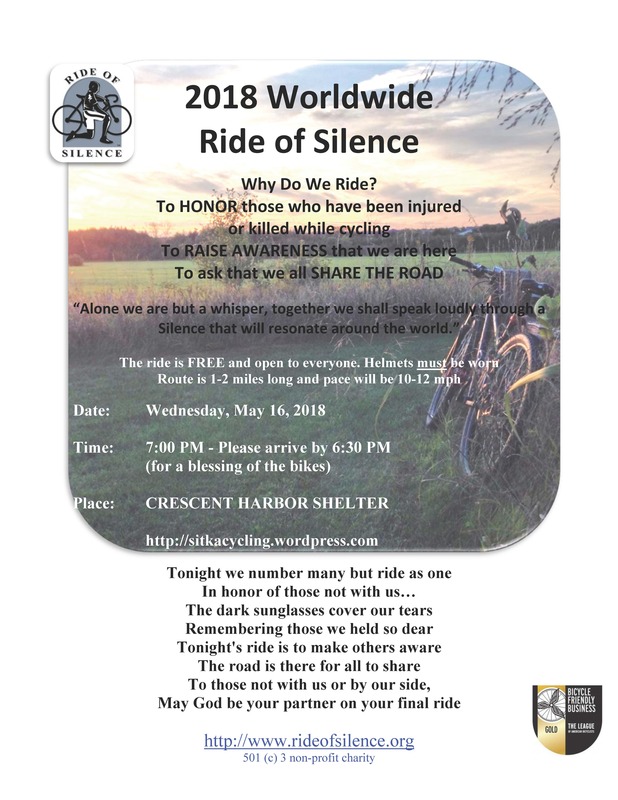 These raffles will take place at Sitka Public Library, Hames Center, Salvation Army Little Store, Tongass Threads, Sitka Tribe of Alaska Social Services, Yellow Jersey Cycle Shop, Swan Lake Senior Center, Sitka Public Health Center, Keet Gooshi Heen Elementary School, Blatchley Middle School and Sitka Community Hospital’s Oceanside Therapy Center. The drawings will start as early as Oct. 30 and are open to all. Having a coat that covers you and can be seen from all sides is a great way to stay safe and seen. For more information on the Safe and Seen in Sitka campaign, contact Sitka Community Hospital’s Director of Health Promotion Doug Osborne at 747-0373. Not too long ago, most of us walked or biked to school. But now, most kids arrive at school via their parents’ cars or school buses. Wednesday, Oct. 4, is International Walk (Or Bike) To School Day, and Sitka parents and teachers are encouraged to help their schoolchildren walk to school on this day. In 1970, more than half of all elementary school students ages 6-11 walked to school. By 2006, only 15 percent were walking to school. Alarmed by this trend, a group called the Partnership for a Walkable America started National Walk To School Day in 1997 as a one-day event aimed at building awareness for the need for walkable communities. 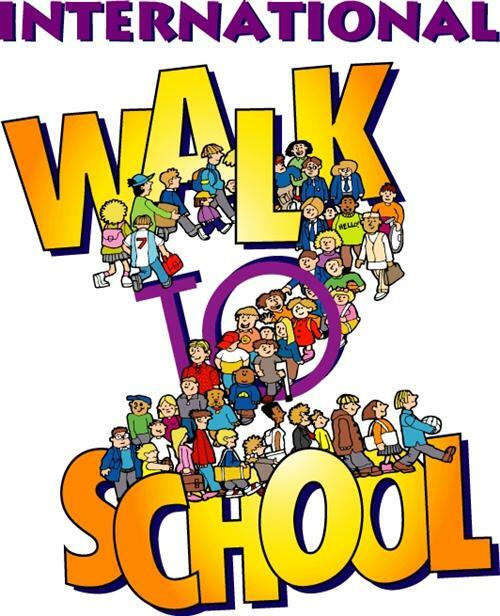 In 2000, the event became international when the UK and Canada (both of which had already been promoting walking to school) and the USA joined together for the first International Walk to School Day. 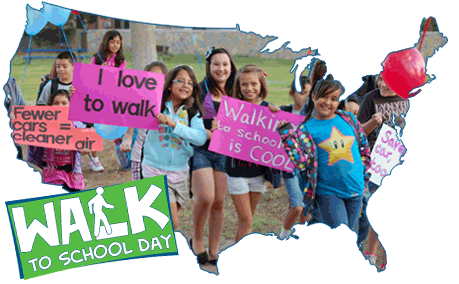 In addition to expanding into several other countries, the dates also have expanded and October is International Walk To School Month. Walking or biking to school with their children is a good way for parents to catch up on what’s happening in their children’s lives. Other benefits to walking or biking to school include less traffic, cleaner air, and friendlier communities. Walking with their children is a good way for parents see if there are things along the route that can be done to improve safety, such as improving lighting, checking crosswalks and watching for aggressive pets along the route. International Walk (Or Bike) To School Day is a great teaching tool for safety. Parents and teachers can teach the kids about road safety rules and the importance of being visible when they walk or bike alongside the roads. They also can check their kids’ clothes and backpacks to make sure they have reflective tape on them. Reflective tape is particularly important as we enter the dark months of the winter. Students need to Be Safe, Be Seen, and reflective tape can make a big difference in their visibility. Not only are kids sometimes hard to be seen because they’re blocked by cars, but many cars in Southeast Alaska experience condensation problems during the fall and winter that make it hard to see through windshields. Reflective tape and blinking lights can make it so kids are seen hundreds of feet before they would be if they wore plain dark clothes. 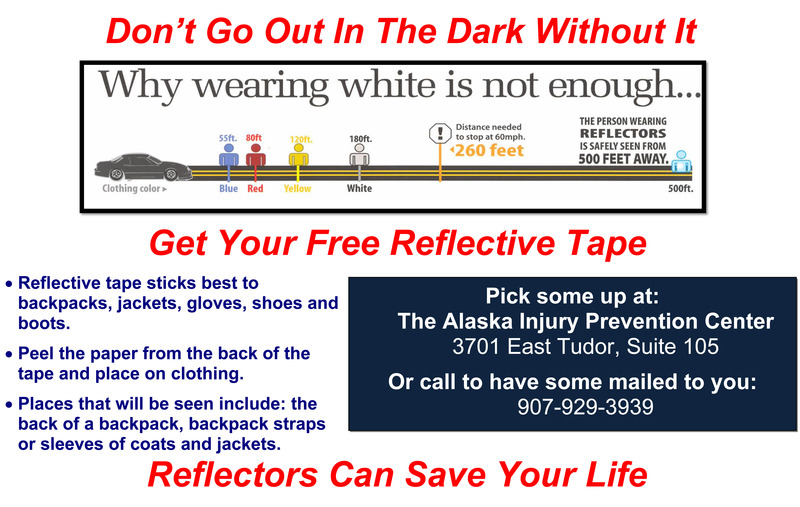 The Alaska Injury Prevention Center’s pedestrian safety program will mail free reflective tape to people who call (907) 929-3939. The Alaska Injury Prevention Center also produced a YouTube video that shows how reflective tape makes you easier to see. To learn more about International Walk (Or Bike) To School Day, contact your local school to see if any events are scheduled, or check with the Alaska Safe Routes To School program. 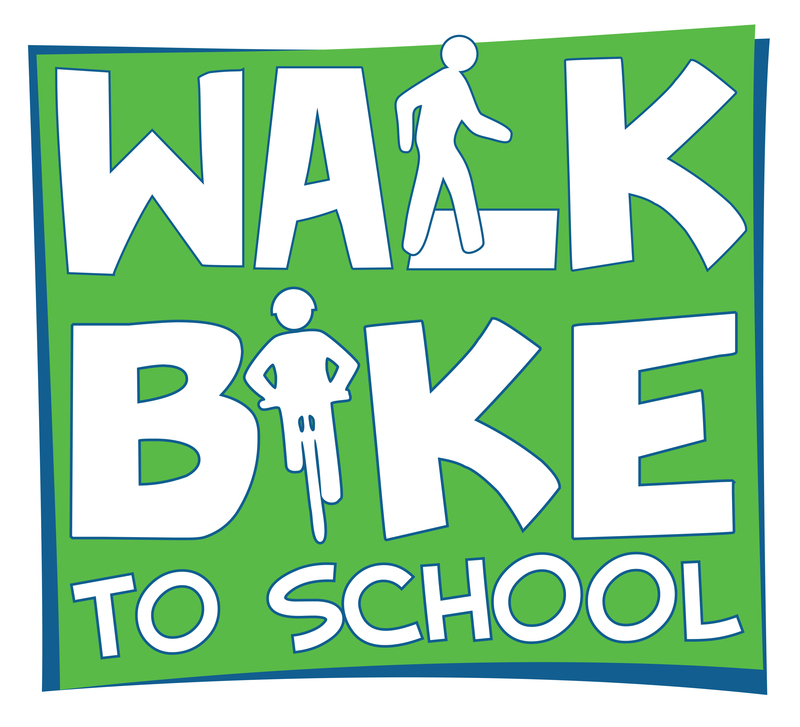 The official International Walk (Or Bike) To School Day website also has a lot of information about how to set up an event for your school, including tool kits to help you arrange an event. Even if your kids don’t walk the entire way to school, you can drop them off a mile or so away and walk in with them. Many parents create walking school buses to bring several students who live in the same area to school together in one group.